To live is to progress – lucky for us. I think back to the days when I was a poor college student. While I initially worked in the dorm cafeteria on kitchen duty, I chose to better my situation – after all, I was the recipient of several High School typing awards. I was soon hired by the Steno Pool and assigned to various work settings all over campus. Growing up in the country unexposed to smoke, I was in for a rude awakening. Working in an office in the seventies meant exposure to smoke – Lots of it. Everywhere I worked – Jesse Hall, the University Hospital, Engineering School, and University Press – smoke abounded! I was constantly inhaling smoke. And as for my clothes and hair at the end of the day, they were disgusting! Always a hard worker, I stayed focused on my work as my co-workers and/or supervisor took frequent smoke breaks, unfortunately in the same room. Always healthy as a child, I soon experienced my first cluster headaches, then migraines, thus began my history of frequent headaches. Given clerical wages were much higher than kitchen wages, money I sorely needed, I quietly stuck it out as it appeared this was business as usual. With my Bachelors in Arts degree in Psychology in hand, I had more opportunities. I was hired to co-manage a cooperative natural grocery store – The Community Grocery Store. As I honed my organizational and people skills, I was exposed to healthy eating and living. Here I found my people and voice! Fast forward, with my Master’s Degree in Rehabilitation Counseling, I helped people with disabilities return to work, a safe, supportive work setting that meshed with their natural abilities and training. Fortunately, by then, almost all work settings were smoke-free, almost all. Unfortunately, my daughter was a poor college student waitressing in a smoke-filled restaurant. Much to our relief, Columbia became smoke-free in 2007! Finally my daughter was no longer exposed to toxic second-hand smoke. Now I’m semi-retired and have the freedom of mobility. After years of diligently avoiding smoke, I now rarely have a headache. Unfortunately, many of our workers in Boonville don’t have that luxury, unjustly sacrificing their health simply to pay their bills. 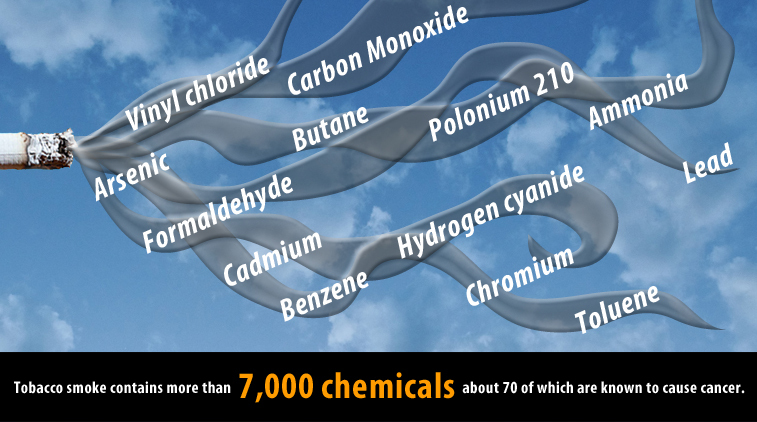 I will spare you all the statistics – second-hand smoke is toxic – it pollutes our bodies and environment. While Breathe Easy Boonville’s survey results show over-whelming citizen support for a smoke-free Boonville, it’s up to our City Council to make it a reality. The conversation has started so now would be a great time to share your thoughts with your city council representative. After all, a healthier community is a happier community.